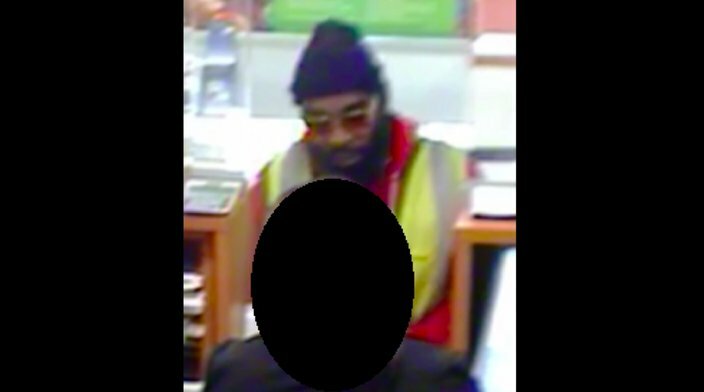 Suspect captured on security footage at TD Bank on Wednesday. The FBI and the Philadelphia Police Department are asking the public for help Thursday identifying an alleged serial bank robber who struck thrice in two days. The suspect was unable to obtain any money during one attempt, but was successful on the other two occasions. 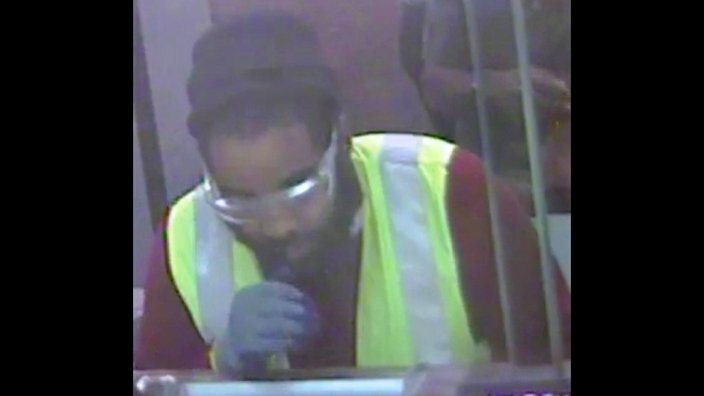 Authorities said the latest robbery occurred Thursday around 3 p.m. at the PNC Bank located at 401 West Tabor Road in the Olney section of the city. The suspect entered the bank and presented a demand note to the teller. After receiving an undisclosed amount of money, he fled on foot. Suspect captured on security footage at PNC Bank on Thursday. On Wednesday, the man attempted to rob two banks. The first happened around 1 p.m. at the PNC Bank located at 19 South 52nd Street in West Philadelphia. The suspect fled the scene empty-handed. Suspect captured on security footage at PNC Bank on Wednesday. 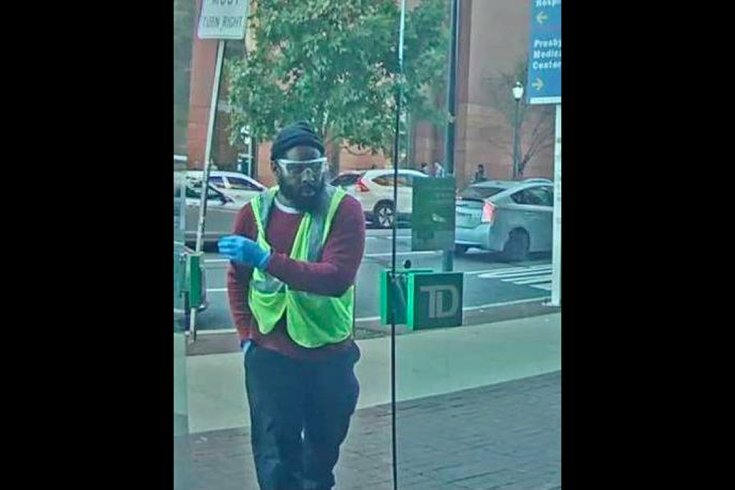 About 15 minutes later, the suspect entered the TD Bank located at 3735 Walnut Street in the University City section of the city. He showed the teller a demand note and fled on foot after obtaining an undisclosed amount of cash. During all the incidents, the suspect wore a fluorescent yellow reflective safety vest over a red long-sleeved shirt with a black knit cap and blue latex gloves. Police describe the suspect at a black man in his 20's, between 5-foot-9 and 5-foot-11, with a medium to stocky build and a scruffy black beard. Anyone with information is urged to contact the FBI at (215) 418-4000 or the PPD at (215) 686-8477. A reward is available for information that leads to an arrest.